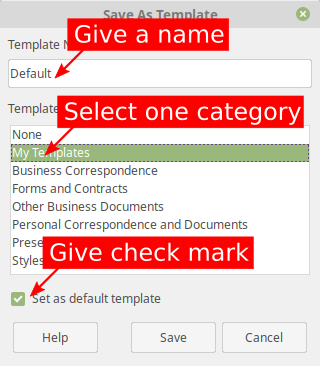 3) Select a template > for example select "Vintage" > right-click > Set As Default > Open. 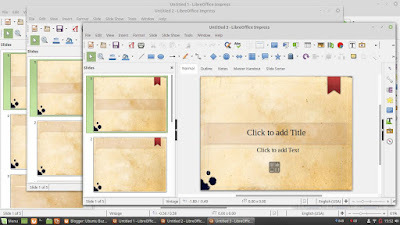 4) Close all opened LibreOffice windows. 6) Done, every new presentation now using your selected template. 2) You see the default blank template is 16:9 wide size, with 54px title, 42px main text; while prior to 6.0 version it is 4:3 wide size with 44px title, 36px main text. 3) Go to Properties panel (right) > Slide > Format > select "Screen 4:3". 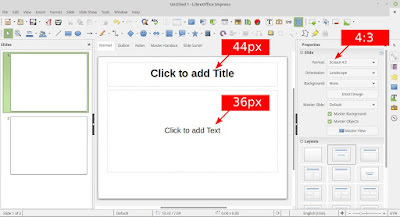 4) Change the title size to 44px, and main text size to 36px. 5) Go to menu File > Templates > Save As Template > give it name "Default" > select category "My Templates" > give check mark to Set as default template > OK.
6) Close all opened LibreOffice windows. 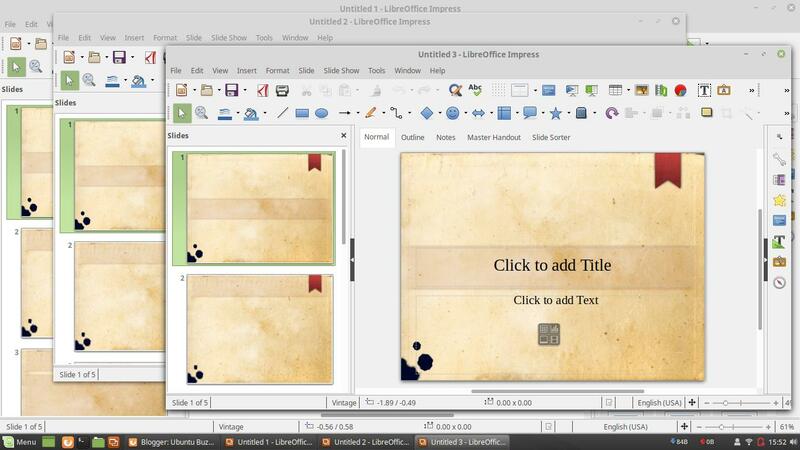 8) Done, now it's back to the previous template from LibreOffice 3.0, 4.0, and 5.0. That's all. If you need more changes, just edit steps above.